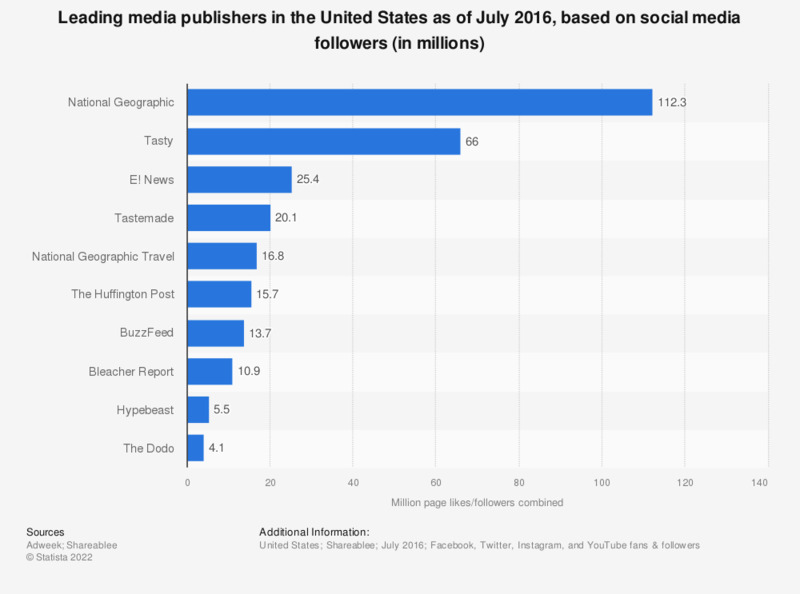 The graph shows leading media publishers in the United States as of March 2016, ranked by consolidated number of social media followers across multiple social networks. As of that month, National Geographic had the largest social media presence with close to 112.3 million total page likes and followers. For E! News, that number reached 25.4 million likes and followers. Total fans/followers includes fans/followers for all properties under each brand as of June 31, 2016.